Heat oven to 375°F. Lightly spray 18x13-inch cookie sheet with cooking spray. 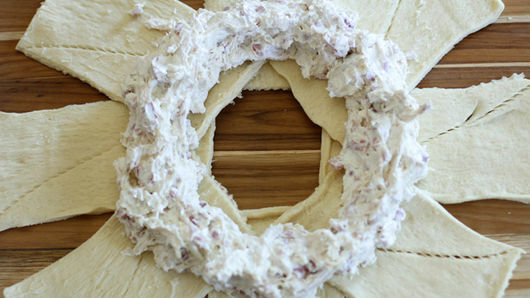 In large bowl, stir together cream cheese, garlic salt and onion powder until evenly combined. 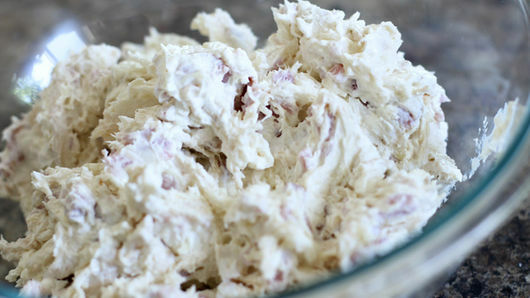 Add chicken, bacon, ham and Swiss cheese; stir to combine, making sure to evenly coat all ingredients in cream cheese mixture. Set aside. 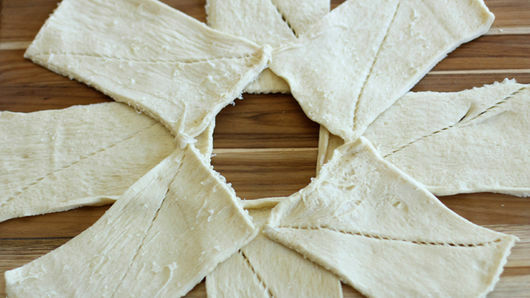 Using 1 can of crescent dough, separate dough into 4 rectangles (2 crescents per section); place on cookie sheet in circular shape resembling a compass, one rectangle pointing north, one pointing east, one pointing south and the last one pointing west. 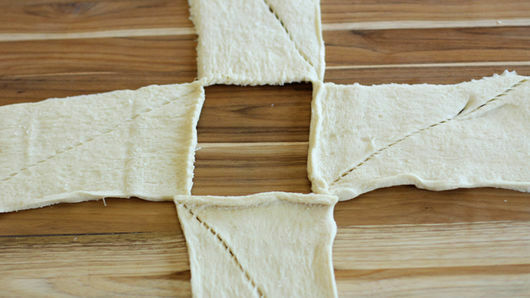 Using second can of dough, separate dough into 4 rectangles. Filling gaps of first layer, arrange rectangles in similar circular shape, only this time having one pointing northeast, one pointing southeast, one pointing southwest and the last one pointing northwest. Evenly spoon cream cheese mixture over dough; mold mixture into shape of ring on center of dough circle, making sure to leave about 1/2-inch gap of dough in center of ring. 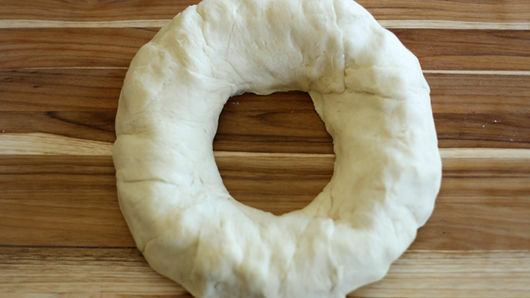 Fold outer edges of dough ring over filling to dough without filling in center of ring. Press dough edges to seal completely so filling does not leak out during baking. Seal all gaps, openings and edges to completely cover filling with dough and make a smooth and uniform appearance. Bake 20 minutes or until top is golden brown. Cool 5 to 10 minutes before cutting into servings. Serve warm. 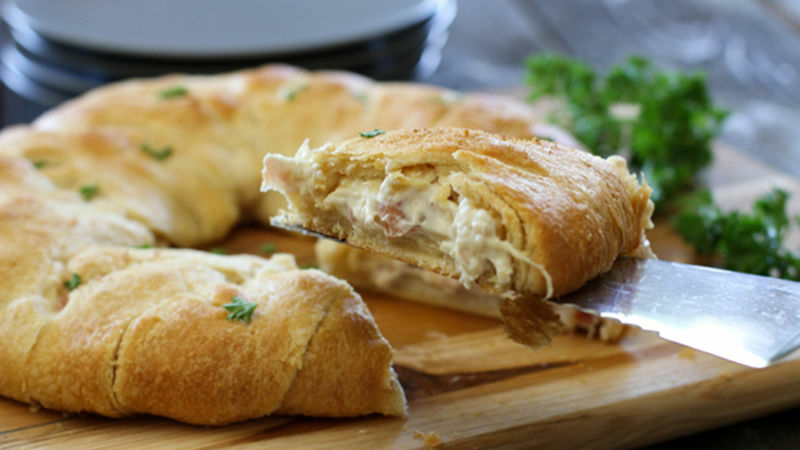 This Chicken Cordon Bleu Crescent Ring is wonderful accompanied by a simple side salad. 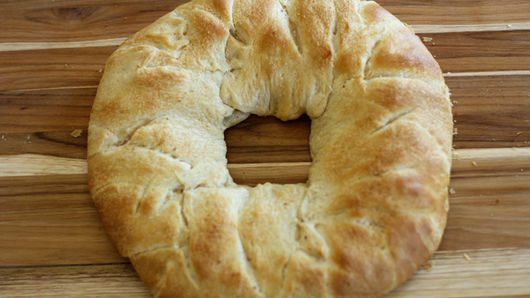 Make sure to test the center of the crescent ring with finger before pulling it out of the oven. If it doesn’t feel firm to the touch, pop it back in the oven for a minute or two longer until cooked completely.